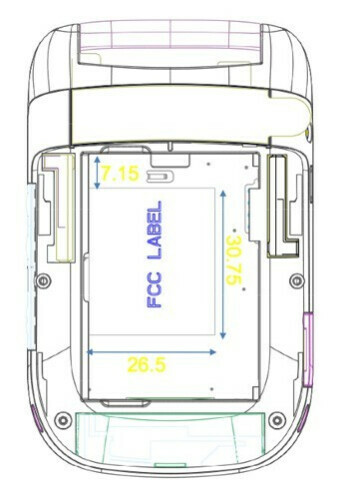 There is just no way to hide yourself when you're a BlackBerry handset sporting a noticeable hinge in documents over at the FCC. Without a doubt, the first thing to come into mind is the long rumored BlackBerry 9670 that we've been hearing and seeing about for quite some time now – but finally, it has made its way over to the great halls of the FCC packing its obvious hinge mechanism. From the test reports, it confirms that the unconventional looking BlackBerry device will be sporing 802.11 b/g/n/ and support for dual-band CDMA with this specific version. With that in mind, it'll most likely make its presence known with either Sprint or Verizon – or even both since the two carriers play off one another in terms of their offerings. Seeing that RIM's BlackBerry Developer Conference is taking place next week, it wouldn't surprise anyone to see this handset during the event. Um ok funny lol but hence the silliness I think you mean you would want this phone ? ?